The suggestion for what to blog about is “Write an article highlighting one of your Pinterest boards and explain how and why you use it”. I do, in fact, have a Pinterest account. I even have boards for a couple of my books. 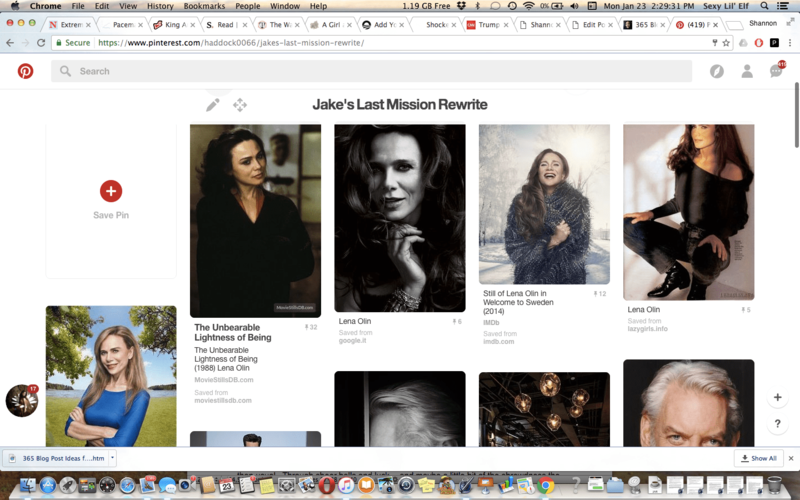 So how and I why do I use Pinterest? To procrastinate but feel like I’m actually doing something useful, as I strongly suspect is the case for most authors using it. It has been useful during rpg sessions because it meant I didn’t have to, in the example that comes most readily to mind, dig through my poorly organized computer and thumb drives looking for pictures of traditional Norwegian Christmas cookies . . . and having that picture to hand, with multiple cookies in it, led to a months-long subplot of a somewhat insane eight-year-old trying to start a revolution to overthrow adults because they were “unfairly keeping us from the cookies and other baked goods” after she’d been denied permission to have as many as she wanted. (When four of the people you consider parents, four siblings, and one uncle are or have been part of a rebels-for-hire group, you grow up with interesting notions of how to deal with injustice. Especially when your genetics are part Proud Warrior Race Guy and part “no one knows if it was genetic engineering, deliberate selective breeding, or divine creation or blessing, but our family have been brilliant swordsmen and military leaders for at least five hundred years” and your grandfather is an Asatru priest.) So that was useful. But when I’m writing? 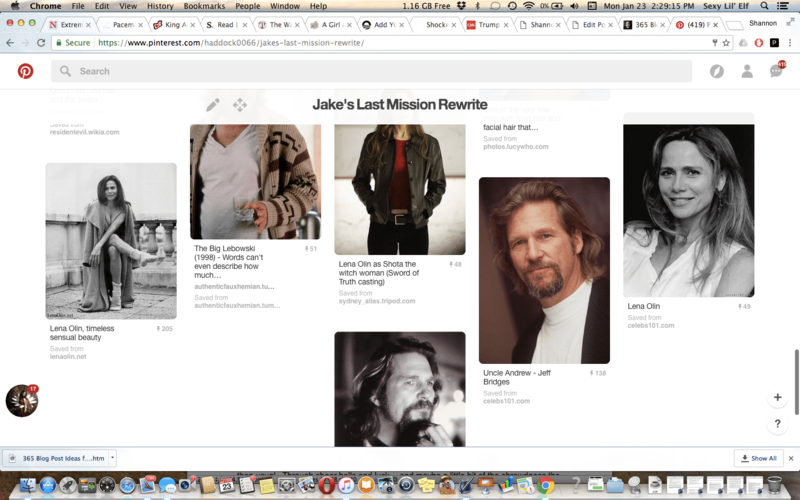 I don’t think I’ve ever referenced one of my Pinterest boards. And, once again, it looks like the interesting part of the post was when I wandered off the actual topic I was supposed to be blogging about. Am I really bad at this self-promotion thing, or are these topics really bad for actually generating interest? Or is it a little of both? And, for the curious, Valerie looks like Lena Olin, Jake looks like Jeff Bridges, and Quirino looks like Donald Sutherland. But you are, of course, free to picture them any way you want.